Below we have gathered some commonly frequently asked questions about the NWA wedding videos we create. Not everyone gets a wedding video, so most people don’t know what to expect. Services also vary from videographer to videographer, so we understand if you have questions. If this section doesn’t cover all your questions, feel free to email us. For the majority of the day, we use 1 to 2 cameras to capture your big day. During the ceremony, we will use up to 4 cameras to capture multiple angles. Yes, we capture audio throughout the entire day, but the majority of the audio we use is from the ceremony and the speeches. For the ceremony, we use two professional mics, one on the groom and one on the minister. For speeches, we capture audio from the DJ’s soundboard. With this, we get beautiful audio for the films. Can we pick our music? Yes, you can be involved in the selection of the music. Unfortunately, we can’t use all music because of copyright. We have a variety of music to pick from all different genres. How will we get our film? We deliver our films on either Blu-Ray or a USB, and films can be viewed online as well. Are there different types of films? 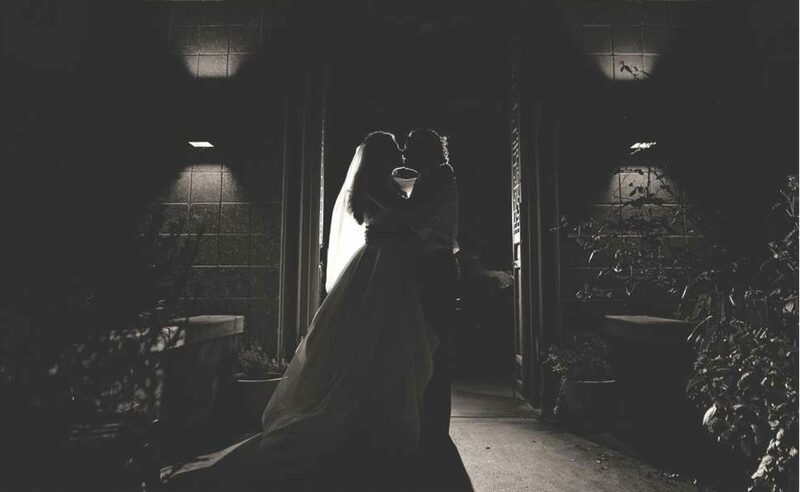 We create two different weddings films: ceremony and cinematic. The ceremony film is the entire ceremony from start to finish with audio and multiple camera angles. The cinematic film is a more artsy film that summarizes the wedding day and uses audio from the day to narrate.